What an absolutely amazing thread. While reading this, one conjures up the true possibilities...and especially that out of towner...I think I might just look into this a bit more! I've always wanted someone to do a thread on this topic because it's just so unbelievable that so many prominent people died just before and after the assassination, to have them all in one place is great. I think people get so bogged down in who pulled and trigger and from where they pulled it that they completely miss all of these obviously connected deaths, something I wasn't aware of until I watched Oliver Stone's film, JFK. What makes this conspiracy so different is that the old saying, "follow the money", really doesn't apply here. Instead, anyone investigating the JFK case should "follow the blood trail", so to speak. It makes me wonder how many others have been "silenced" in other conspiracy cases, but have yet to be recognised. Thanks and yeah, the "out-of-towner" really is a fascinating figure IMO. I have no doubt he's involved in the demise of Kilgallen in some way or another and tbh, I think I'd personally go as far as saying he was the true culprit. But, I'm not the only one..
Lee Israel has always refused to identify the "Out-of-Towner". In 1993 the investigative reporter, David Herschel, discovered that his real name was Ron Pataky. In 1965 he had been a journalist working for the Columbus Citizen-Journal. 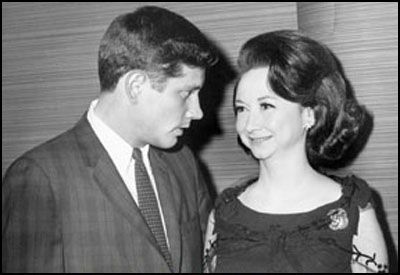 He admitted that he was the "Out-of-Towner" and that he worked on articles about the assassination of John F. Kennedy with Kilgallen. Pataky also confessed to meeting Kilgallen several times in the Regency Hotel. However, he denied Lee Israel's claim that he was with her on the night of her death. In December, 2005, Lee Israel admitted that the "Out-of-Towner" was Ron Pataky and that "he had something to do with it (the murder of Dorothy Kilgallen)". Then as far as I know, Pataky suddenly disappears (Please correct me if needs me). So, personally, I have absolutely no doubt he was involved in one way or another. And, I believe Kilgallen was also suspicious of him also, which was one of the reasons she gave a copy of her findings to a friend (whom also died 2 days after kilgallen). Anyway, I really hope more decide to do research on this topic. I really feel It's incredibly important as I have no doubt there's a conspiracy here and It's in plain site. Not to forget, I get the feeling I'm not far from the truth when it comes to my theory on the demise of Kilgallen. So, yeah, there really is a lot of figures to discuss and IMO they all more than deserve to be discussed - and for once have the discussion of whom killed JFK cast aside. The assassination is rightly so the remembering factor when someone looks into this entire case admittedly, but I don't feel It deserves the amount of attention It gets. The "lesser knowns" all deserve a platform such as this to be discussed. Yeah probably all true, but the real truth is all none of us are ever going to know the real truth about this whole JFK stuff for at least 50 - 100 years. That will not be until everyone is past caring, which will take this long. The secret is so embarrassing in that either it was an internal hit or the fact an international government or crime syndicate was able to do this it will not be released for a long long long time. The Warren commission report when released with have big thick black texta censoring all the important bits. This is guaranteed! There are people that will go to any length to protect this as the OP has pointed out! Then to make matters worse the truth is probably already out there but because there are so many theories we cannot "See the leaves for the trees"
I know it has been said but it is threads like this that makes this site what it is , deserves more time than a quick read . i enjoyed, if thats apropriate, the well presented info. one thing ive heard of is this james Angleton. memory is frail but perhaps dave ferrie? Here's a really interesting link on James Angleton which I think you will find interesting. I don't know much about him admittedly, but I know that link is worth checking out.